“I wish to announce a piece of important and good news. After I left the party several weeks ago, I did not expect that so many liberally thinking people would write to me that they wish to meet, contribute to the formation and activities of a new liberal political power. Thus, it is clear – there will be a liberal political party!” Aušrinė Armonaitė wrote on her Facebook profile on Friday. "There will be a liberal political party!" The formerly Liberal Movement MP writes that there are yet many discussions to be had, but that Lithuania has need for an optimistic political power, which would emphasise education and would not hide from human rights problems. "Lithuania does not deserve a policy of prohibitions and bans, as well as constant disregard for the Constitution and playing around with the rules of the democratic game. We need a political power, which would view people in Lithuania not as a serving peasant, but as an equal citizen with full rights – an owner of their own country, city or town," A. Armonaitė wrote, emphasising that the "new political power must primarily reflect variety in its composition," bringing diverse professions and ages into Lithuanian politics. A. Armonaitė stated that more details and program points would be presented to the public over the coming months. She explains that over this period, the founding congress date would be set as well, inviting all those interested to join. Remigijus Šimašius, who left the Liberals together with A. Armonaitė, stated that a period of discussion would start now, but he emphasises that his current priority is the municipal elections. Nevertheless, he notes that he earlier pointed out how the energy and gathering of free people he saw had potential to turn into a new political power. According to the Vilnius mayor, this message from A. Armonaitė is an invitation to discussions. At the same time, he explains that he is not directly involved and is focusing on Vilnius and his civic electoral committee Už Vilnių, Kuriuo Didžiuojamės (For A Vilnius We Are Proud Of) with which he will run in the municipal elections, rather than national politics. He does state that he is prepared to cooperate and expressed optimism on the new political movement's potential, but avoided a direct answer on the shape cooperation could take. The Vilnius mayor was unwilling to guess, how many Liberal Movement members may join the newly forming political power, stating, "There is no need to divide or separate anything. There is no such aim. I believe that the most important thing is the idea, the clarity, purity and cleanliness of the idea." Delfi reminds that MP Aušrinė Armonaitė and Vilnius Mayor Remigijus Šimašius withdrew from the Liberal Movement recently. Both former members left due to disagreements with the party's leadership, which arose due to the party's Vilnius branch choosing to run as a civic committee, rather than under the party's banner. This led to a suspension of the politicians' party membership. 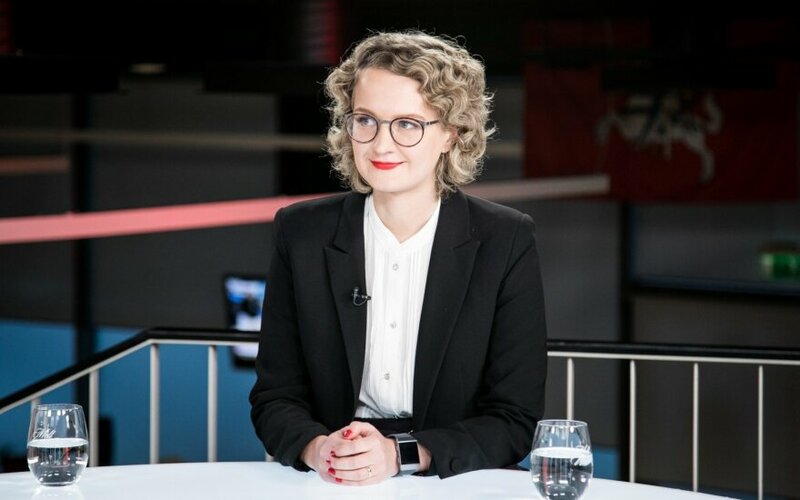 A. Armonaitė, who was also the party's Vilnius branch head noted that liberalism "is a consistent and dynamic system of political ideas," which must be open tonew things and demonstrate respect to variety. "Unfortunately, today, membership in the party does not help accomplish these things. The party leadership's attention is directed to a search of rivals (or enemies even) among fellow members, settling of accounts in news media and the party bureaucracy is bent on weakening fellow members. 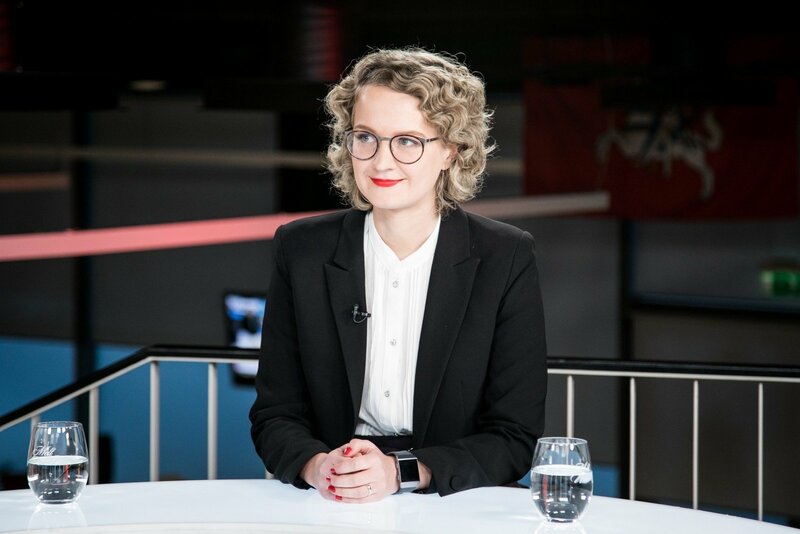 What to say of how a part of the Seimas Liberal Movement group continues their "Farmer" line," A. Armonaitė said in a press release, emphasising that despite disagreements among liberals, the ideology is needed "like air" for Lithuania, which is why she will continue participating in politics. Liberal Movement leader Eugenijus Gentvilas has stated that he would look to cooperating with the new committee, however A. Armonaitė was uninclined to believe this, basing he opinion on the party leader's behaviour. She explains that neither the chairman, nor the board were interested in hearing anything of the committee. She states she will not run in the municipal elections as she is interested in national politics. "It is also extremely important that as many ideas of freedom would appear in all municipalities. I have spoken to many people and heard that there is a need for an earnest and consistent liberal power with broad support in Lithuania, however only words are not enough. We need active support, thus we will need to give this some thought if it appears," A. Armonaitė said.